This was a full weekend. On Friday night we went to a piano recital. The pianist and her husband* are both recently retired from being music professors at one of the UWisconsin campuses. He has started a local chorale group, and she is the accompanist; she is also a fabulous pianist in her own right. 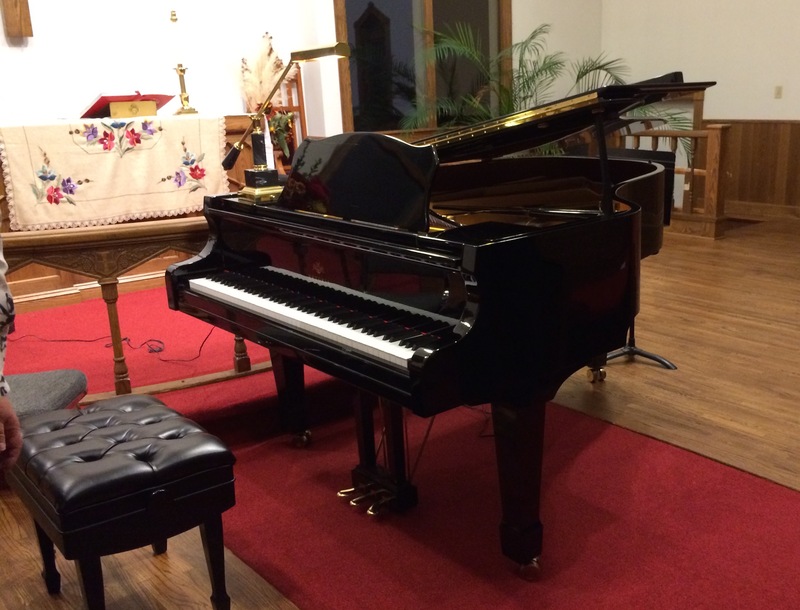 Their church — a tiny building in the woods with big presence in the the community — had recently received a donation that enabled it to purchase a gorgeous baby grand. The recital celebrated that acquisition, and the church was packed. The first two sets of pieces were by Bach and Mozart, respectively; by the time she had finished them I swear she had played at least 150 gazillion notes, all at top speed. It made my hands ache just to watch. Later she played some Brahms that I liked and three Gershwin preludes, the second of which made Smokey and I turn to each other and say, Wow, I loved that. 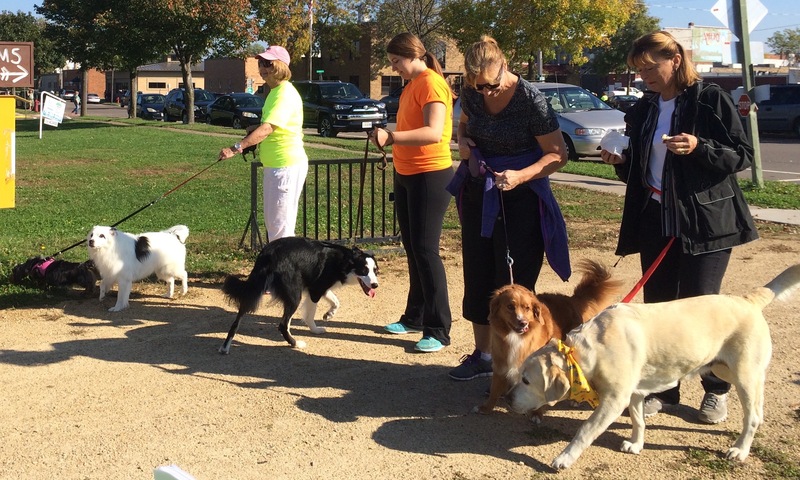 Saturday was the annual dog walk, a major fundraiser for our humane society. Another woman and I staffed an information table. Good turnout, gorgeous weather. The latter is always iffy in late September. 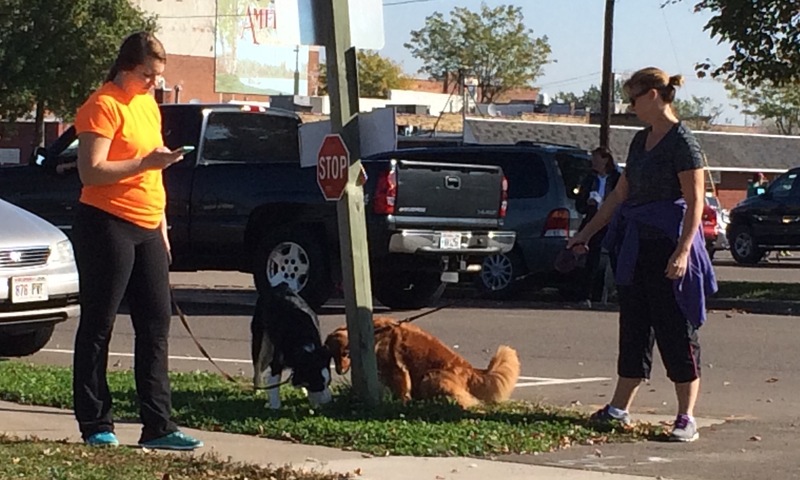 This was one of three pee spots near our table favored by nearly every dog that walked. These dog owners were attempting to get their canines, clearly excited by the presence of ALL THOSE OTHER DOGS!, to line up so the photographer from the local newpaper could get their photo. This may have been the closest they got. 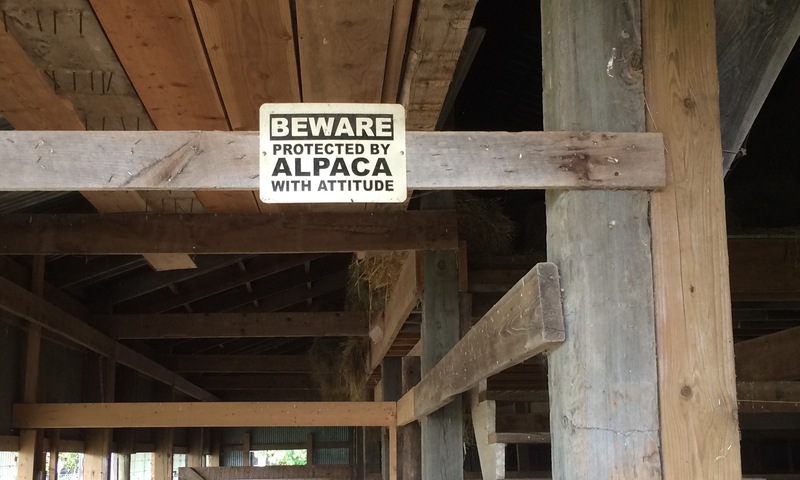 Confession: this photo is from 2007, the other time I went to this alpaca farm. Post about it here. I tried to remove that stalk of grass from its fleece, but he (she?) was having none of it. 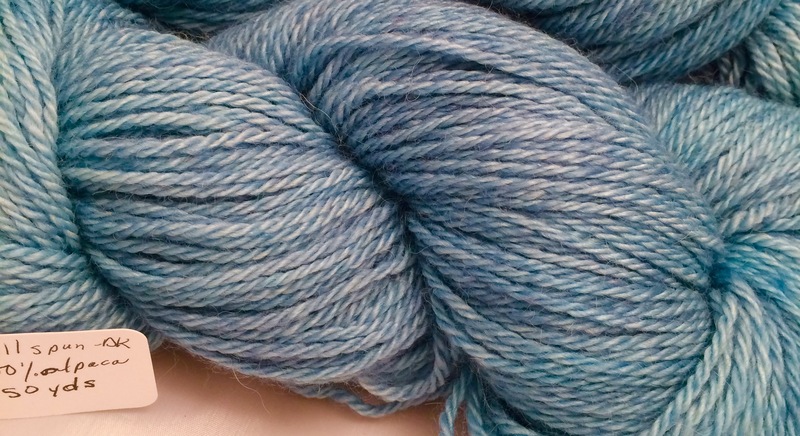 Of course I bought some yarn, two skeins of worsted-ish 2-ply alpaca. 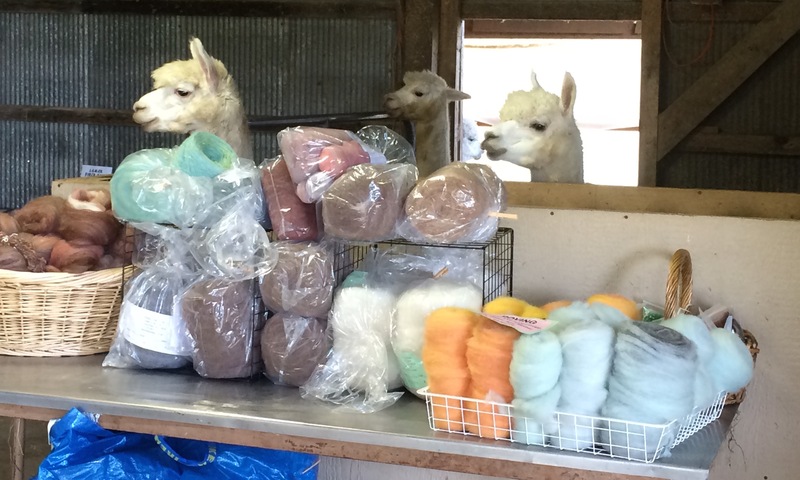 I had to do it; that lone skein of brown alpaca I won last weekend has been staring at me all week. The two will look well together in a hat and scarf in brioche stitch. Sunday: quiet time. Process the photographs, write the blog post, collapse. * She is also in one of my book groups and he used to be on the county board with me. Such is life in a small town. 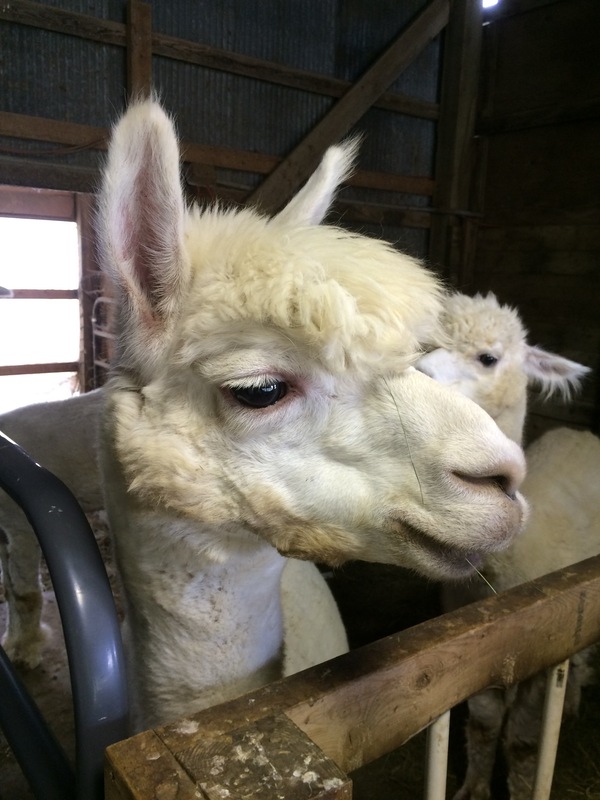 This entry was posted in Animals, Community, Rural life, Yarn. Bookmark the permalink. What a wonderful weekend. I used to be able to play a bit. (With lots of work I could play some complicated things, but not most of the “true” [my quotes] hard pieces.) I stopped playing when I went to an engineering college and then two years later developed carpel tunnel. (Also the only piano I had access too is horribly out of tune since I was the only one playing on it at home. Mom and Dad still have it and I want it despite the fact that it may take time and patience to be able to play again. [Long throw on the keys. It was my Great Grandmother’s. It has history.) Needless to say I believe I envy you the recital. 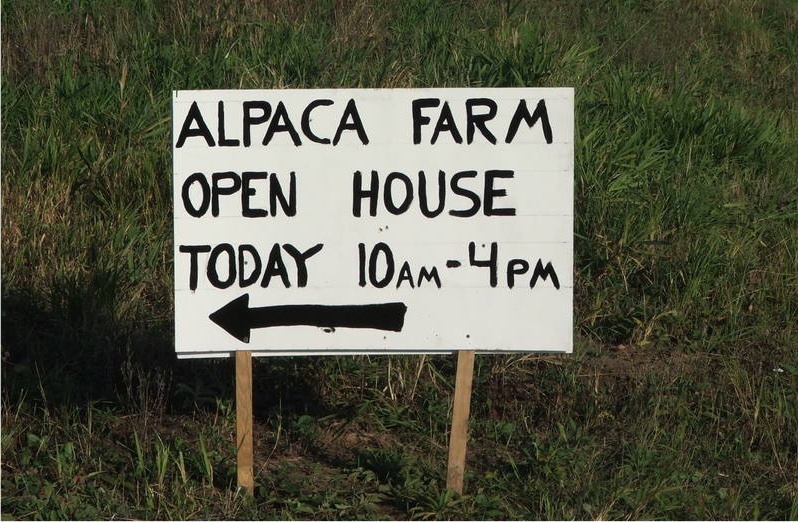 I hope the fund raiser for the homeless shelter and for the Alpaca Farm went well each in it’s on right. It was a full weekend, but full of some really good things. The grass around that post may be extra green since it got fertilized with lots of nitrogen! A lovely weekend! I often feel that fall events are most enjoyable because we know in the back of our heads that we’re about to start that long huddling down for winter. 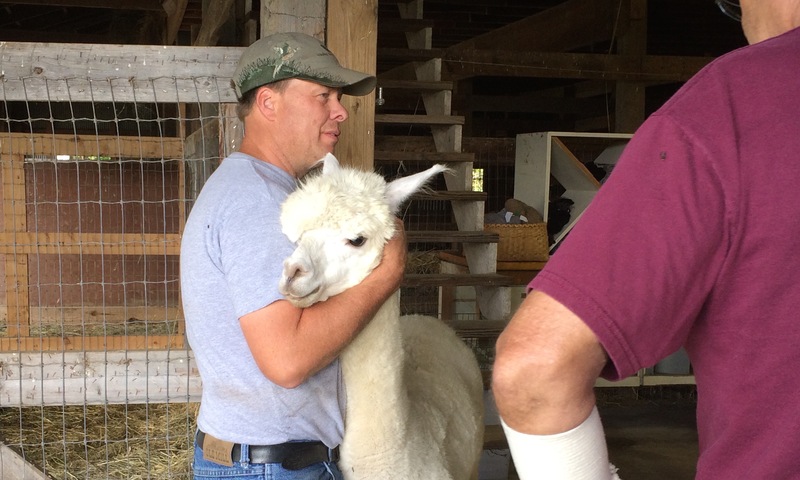 A weekend that includes music, dogs and alpacas just has to be awesome! Looks like a great way to spend such a gorgeous weekend!